What to do with this old rope? 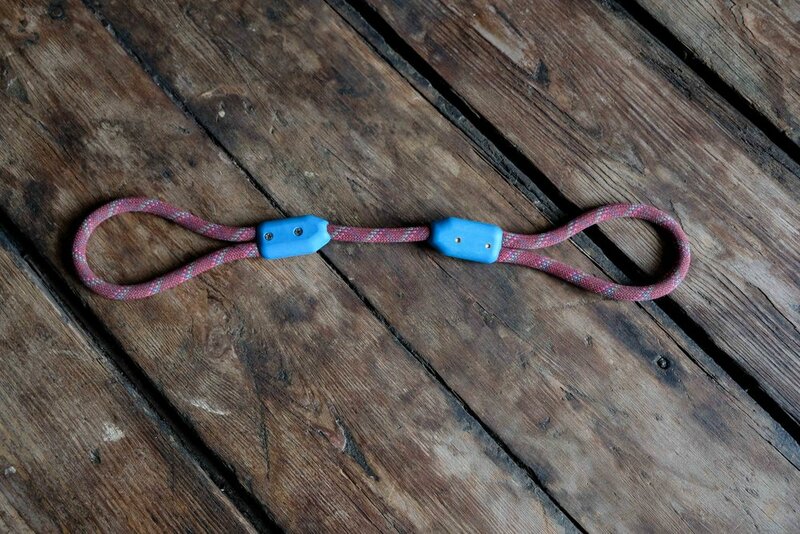 While spring cleaning a couple of weeks ago, I rummaged through some boxes of hiking gear boxes and came across a bundle of retired climbing rope. It happened to be Jason’s climbing rope from the mid 90's... It’s surprising what we hold onto, and his rope had survived dozens of moves, Hurricane Sandy, and was still here after a some decades. First, tape off each end of the rope with some electrical tape to prevent unravelling. Open each clamp, and press the end of the rope in place, around the screws. For an in depth how-to, watch this video. 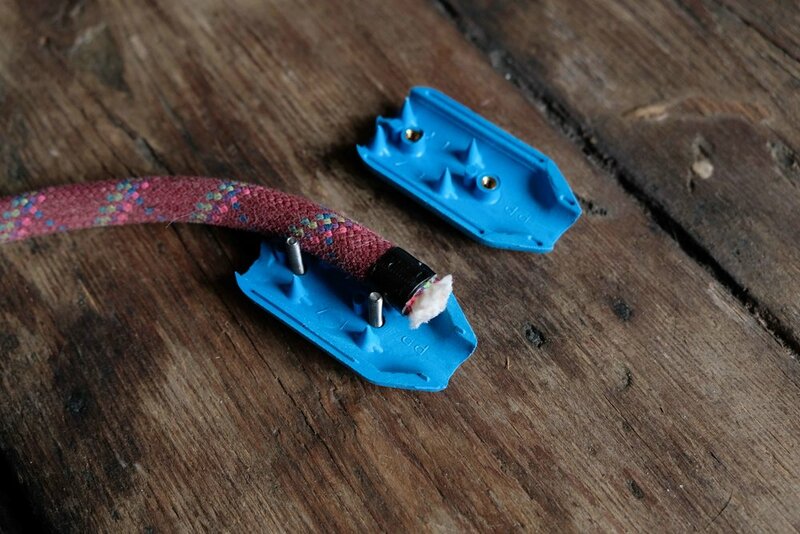 We found these plastic rope clamps here, in varying sizes and colors. 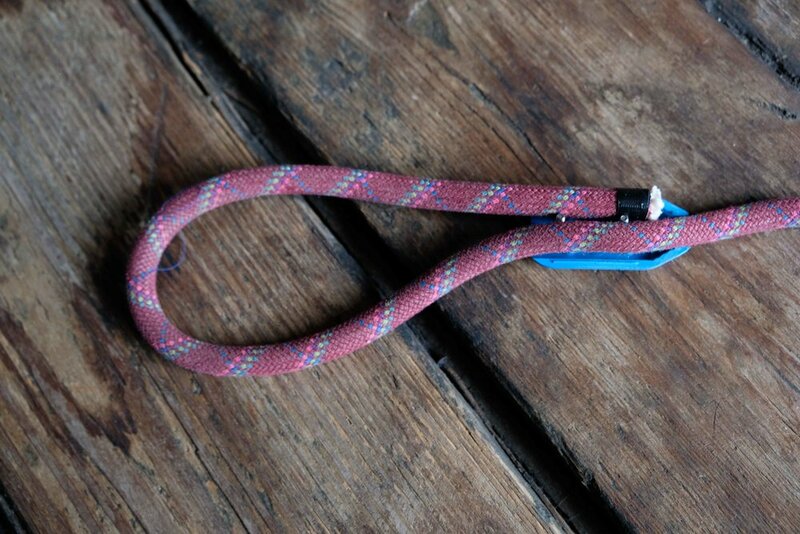 Make your desired loop length- for a tug toy handle, or the handle of a leash. Loop the other end of the rope around, and press the rope into the threads of the clamp. Repeat to create another loop for the tug toy. 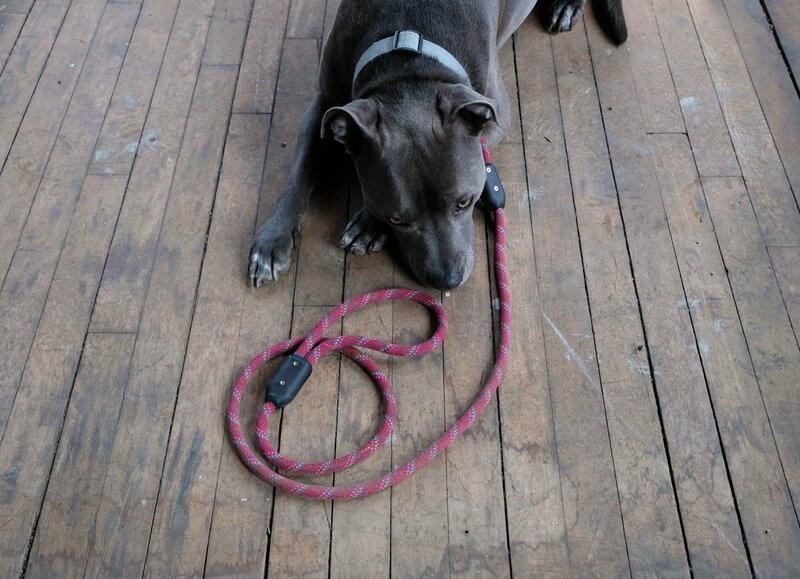 For a leash, measure out the desired length of the rope. Then feed a swivel bolt snap into a small loop, and secure with another rope clamp. We found a variety of bolt snaps here. 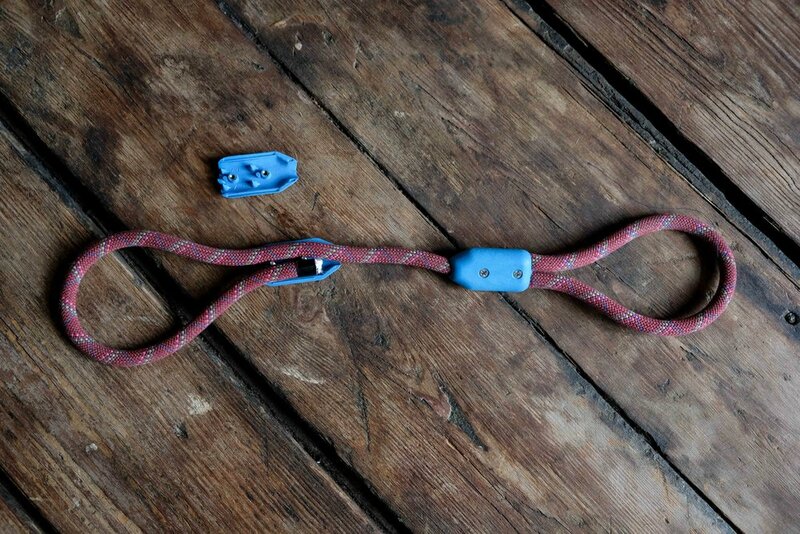 Make sure the bolt snap’s end is large enough to fit the diameter of your rope.